Read the criteria below to find out if you or a loved one can receive meals. If eligible, enter the appropriate zip code to get contact information for the Case Management Agency nearest you. Your Case Management Agency will guide you through the process of getting meals. Even if you receive homecare or Medicaid, you are still eligible to get meals if the homecare worker cannot prepare a meal to fit your dietary or religious restrictions, or if he or she is designated to assist only with other tasks. Call your Case Management Agency directly for more information. Receive email updates about the homebound elderly you help us nourish, recipes from renowned chefs, event invitations, volunteer opportunities, and more. In addition to general updates, please choose from the options below to receive special news and information from us based on your interests. Recipe of the Month: Get exclusive recipes each month from some of the world’s greatest chefs who support Citymeals. Event Announcements: Stay up-to-date on our events, offering one-of-a-kind experiences that have become the hottest tickets in town. Volunteer Opportunities: Receive periodic updates about our volunteer programs and get notified when we need extra help. Young Professionals: Learn more about events and volunteer opportunities organized by the Citymeals Young Professionals Committee. 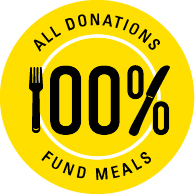 100% of your donation will be used for the preparation and delivery of meals, thanks to our partnership with the New York City Department for the Aging, along with gifts from our board of directors and others designated for administrative expenses. Citymeals on Wheels is a 501(c)(3) organization and a registered New York State charity.